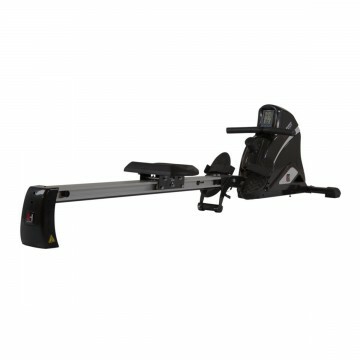 Fold-able rowing machine incl. transport rollers. Power rowing with ten resistance levels. Comfort seat with ball bearing rollers. 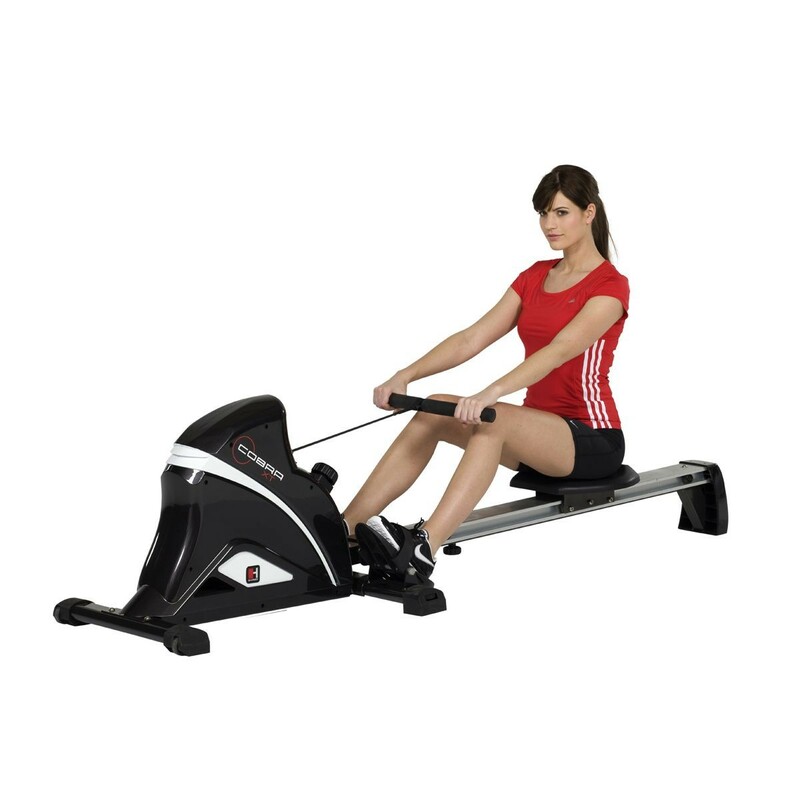 With the ROWER COBRA XT you have the perfect all-round machine. When you row, you train endurance and also end up with defined muscles and a trained body. The ROWER COBRA XT Rower from HAMMER sets itself apart from the competition with its smooth sequence of movement, which simulates professional rowing movement. 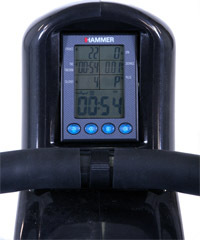 The heart of the ROWER COBRA XT from HAMMER is the swivelling training computer with the large display. 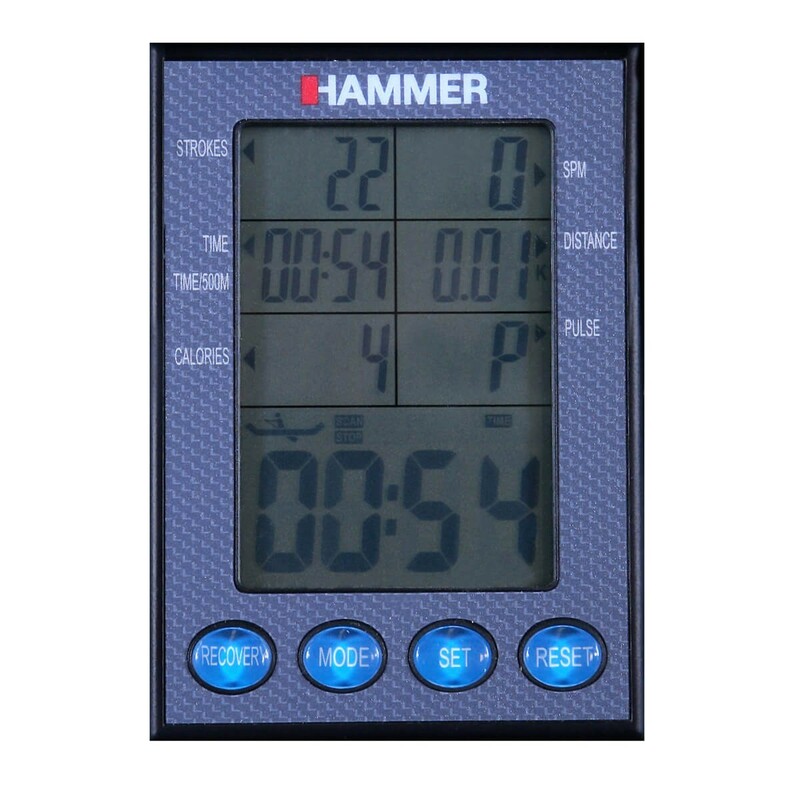 With this display you can check on your exercise session from every rowing position. With the manual 10-gear resistance settings, you are guaranteed diverse and effective exercise sessions. In addition to all important exercise information, you can also see your heart rate. Your heart rate can be easily measured with an integrated chest strap receiver. The ROWER COBRA XT from HAMMER also scores points in terms of comfort. The aluminium rail and the ergonomically shaped comfort seat with ball bearings ensure smooth workouts at home. The ROWER COBRA XT can be folded and easily pushed out of the way thanks to the practical transport rollers. 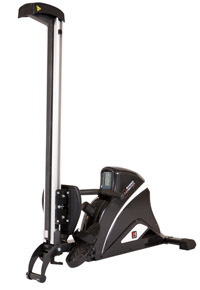 With the Rower Cobra XT, you'll have an absolute all-rounder at home. 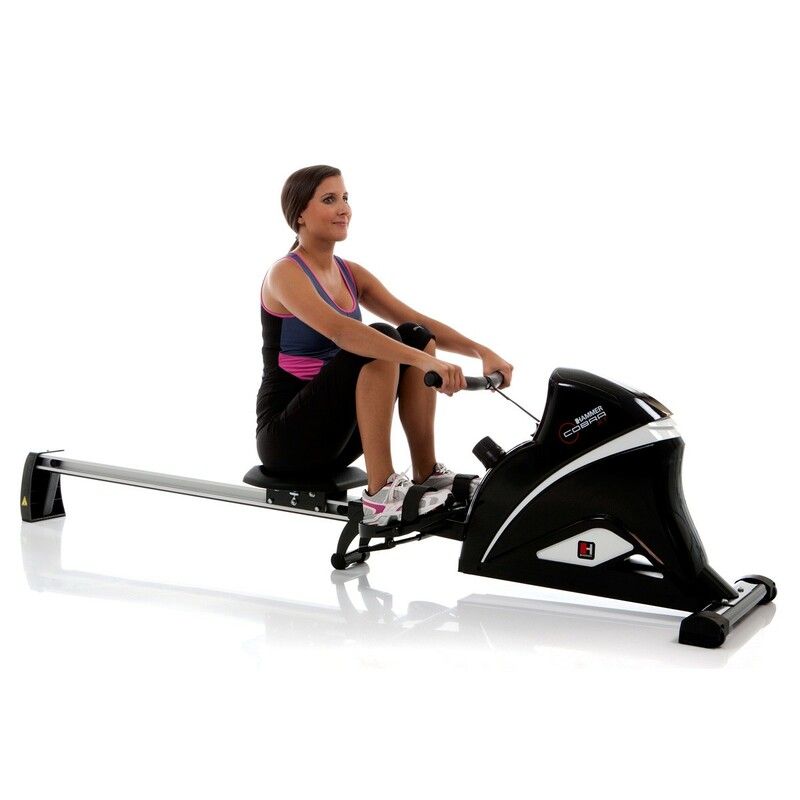 Rowing workouts on the HAMMER Rower Cobra XT equally improves endurance and strength. In terms of an effective whole-body workout, rowing is far ahead: endurance and strength are equally improved, which results in a trained, nicely shaped body. The dynamic movement primarily and effectively builds up the muscles in your upper back, arms and legs. Men can develop a broad V-shape, strong shoulders and muscular legs, while women often use rowing workouts to tighten their bodies and to quickly lose weight as a result of high rowing frequencies and a large amount of calories burned. Exercise on the Rower Cobra XT rower three times each week for about 20 minutes and you will be amazed at how your body changes. The constant repetition of the rowing movement and the high activation of your muscles stimulate the cardiovascular system. Your heartbeat and vascular activity increase, which results in improved endurance values and a high number of calories burned. If your workout lasts longer than 30 minutes, then burning fat becomes the dominant source of energy for your body – which helps you effectively reduce your stomach fat and shape your body. The dynamic stretch and pull movement simultaneously strengthens all of your body's main muscle groups. From the calf muscles to the back muscles, all muscle groups are involved in the execution of the movement, though the thigh, biceps, and upper back muscles do much of the work. Thus, rowing working outs on the Rower Cobra XT are very well suited for getting your entire body into shape effectively and without taking up a lot of time. 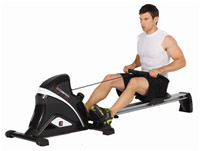 A workout on the Cobra XT Rower will feel very comfortable and fluid. This is due to the high-quality fittings and the technical details that allow for a high level of comfort while you exercise. A comfortable ball bearing seat smoothly and noiselessly slides along a stable aluminium rail and ensures an ergonomically correct rolling movement. The loops for your feet can be adjusted to the shoe size of the person exercising, allowing for optimal settings for each person. The strap should always be placed just below the base of the toe joints The rowing grip on the HAMMER Rower Cobra XT is nonslip and can be pulled very easily , as it is covered with a high-quality, skin-friendly and durable quality foam material. The bent ergonomic shape allows you to pull the grip close to your body. This in turn allows you to row with full motion, resulting in very effective build-up of your back muscles. The resistance is generated by a reliable permanent magnet brake system and manually set. A 10-gear shift allows for many different intensities and ensures a varied , intense workout on the Rower Cobra XT rowing machine. With just a few quick motions you can quickly and directly adjust the resistance using the shift - from beginner workouts all the way up to professional workouts. The heart of the Cobra XT Rower is a high-quality exercise monitor that ensures a good overview during your workout with a permanent display of 8 performance values. This way, you always have all the important data in view. Time in hours, minutes, seconds. You can even see your heart rate on the clear LCD display. Using an integrated heart rate receiver you can view your heart rate - which is measured using a chest strap (chest strap optional) - on the performance monitor built into the HAMMER Rower Cobra XT. The display allows you to check your heart rate and to remain in the right heart rate range. The Rower Cobra XT comes in dark anthracite, while the silver sliding rail and white accents ensure for a nice contrast and a modern fitness design. The Cobra XT from HAMMER can be folded up to save space, allowing you to set it up and store it even in smaller rooms. Thanks to an integrated folding mechanism, the rower can go from dimensions of 220 x 65 x 57 cm (LxWxH) when set up to dimensions of 82 x 65 x 156 cm when folded—and this in just a few easy steps. The practical transport rollers and the low weight of the rower - just 55 kg - makes it easy to push the machine around the room without hurting your back. The rower can bear a max. body weight of 120kg, which allows even heavier individuals to easily take advantage of the benefits of this machine. Start your rowing workout on a low intensity level for about 5 minutes. This gives your body a certain amount of time to get used to the movement and gets your blood pumping in the muscles you are about to strain. Increase the intensity by 25 to 50% depending on whether you want to increase your endurance (25%) or your strength (50%). Complete your workout with another five minutes of reduced intensity to bring your body back to a normal temperature and activation. 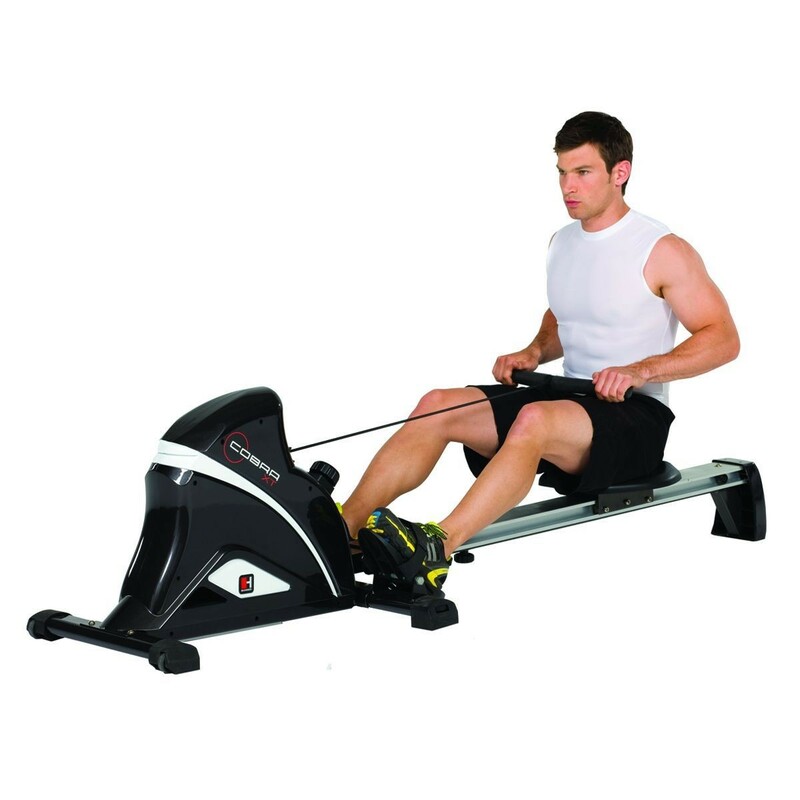 In order to improve the fitness of your entire body, you should work out on the Rower Cobra XT rower 2-3x per week. 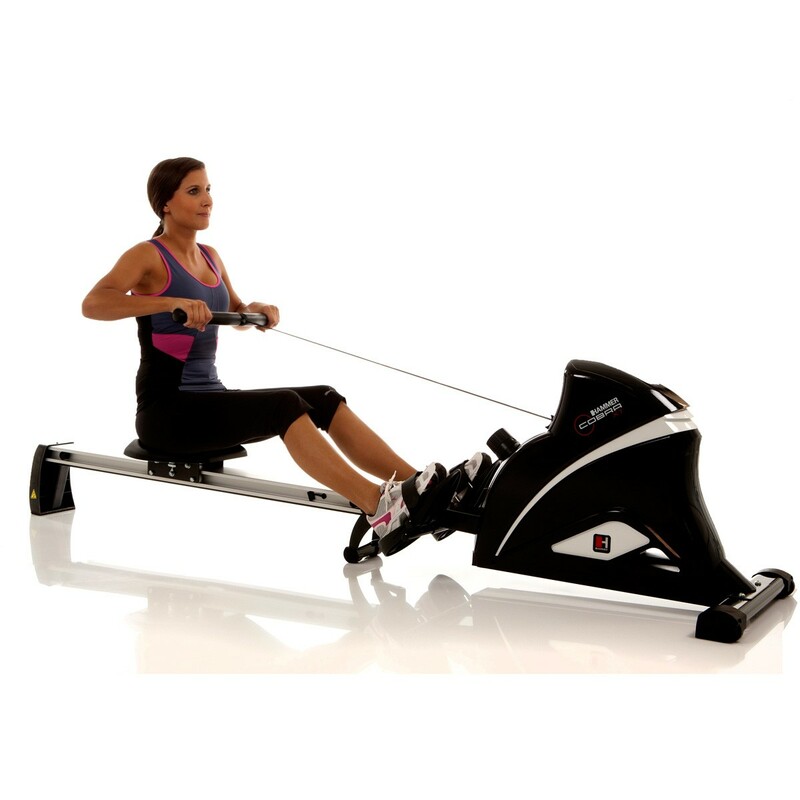 Endurance and strength training are optimally combined on the Rower Cobra XT. The dynamic form of movement and the high percentage of activated muscles ensure effective improvement of your cardiovascular system and defined build-up of your muscles. The efficient burning of calories boosts fat burning and helps you reduce your stomach fat. The Cobra XT rower from HAMMER scores points with its high-quality equipment details and sophisticated rowing technology. Realistic rowing workouts that are easy on the joints are possible thanks to the stable aluminium rail and the ergonomic ball bearing comfort seat. The clear exercise computer simultaneously shows all important exercise data. An integrated chest strap receiver allows you to do your workout in a manner that focuses on your heart rate and health. You can manually set the resistance; there are 10 levels in various intensities (beginner to advanced workouts). The reliable and sophisticated permanent magnet brake system generates an even resistance and truly simulates rowing movement in water. 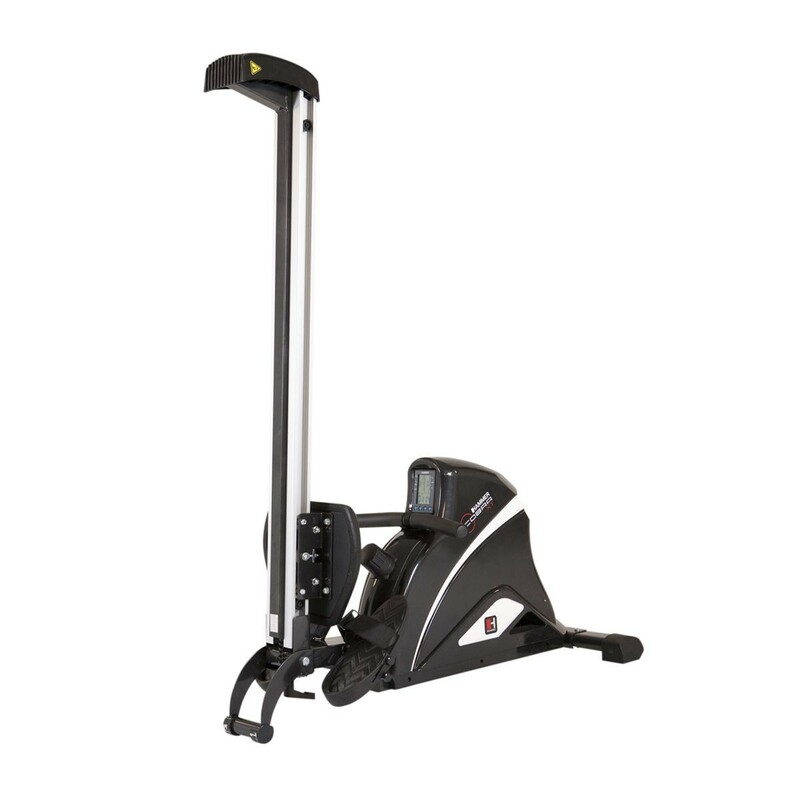 The compact design and low weight of the rowing machine as well as the integrated folding mechanism make storing the Rower Cobra XT rowing machine an uncomplicated matter, even in smaller flats. I am very happy with the workout equipment. It was already delivered 48 hours later. The assembly was very simple.